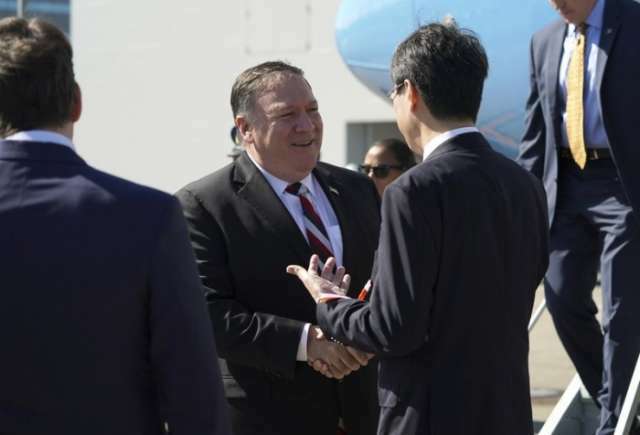 U.S. Secretary of State Mike Pompeo arrived in Tokyo on Saturday for talks with Japanese officials ahead of his trip to North Korea, AP reported. Pompeo is under pressure to make progress on convincing North Korea to abandon nuclear weapons as President Donald Trump seeks to meet with leader Kim Jong Un for a second time after their June summit in Singapore. Pompeo will meet with Japanese Prime Minister Shinzo Abe and Foreign Minister Taro Kono later Saturday to discuss their North Korea policies before heading to Pyongyang on Sunday. Tokyo is the first stop of his three-day East Asia tour, which also takes him to South Korea and China. In Beijing, Pompeo will face tensions over trade and accusations of election interference. In contrast, Pompeo’s meetings with Abe and Kono should be more relaxed. They planned to touch base and deepen cooperation on their effort to achieve North Korea’s denuclearization, Chief Cabinet Secretary Yoshihide Suga told reporters Friday, though he did not elaborate. The real diplomatic test for Pompeo will come in Pyongyang. Speaking on his plane Friday, Pompeo said his mission was to “make sure that we understand what each side is truly trying to achieve ... and how we can deliver against the commitments that were made” in Singapore. He said they would develop options, if not finalize, the location and timing of second Trump-Kim summit. Trump and Kim made a vague “denuclearization” agreement their June summit but deadlocked over how to achieve it. North Korea so far has suspended nuclear and missile tests, freed three American prisoners and dismantled parts of a missile engine facility and tunnel entrances at a nuclear test site. But it has not hasn’t taken any steps to halt nuclear weapons or missile development.